Jukebox: Volcano Choir - "Still"
In today's drum & bass world, the artists seem to be split into two major camps. In one camp, there's the classic sound of DnB - techy, clicky drums, a focus on a grimy low end, and a special love for Amen breaks (for those of you who don't know what that is, go here). In the other, there's the style that's been especially popular recently - mid-range synths, a more standard, less inventive DnB beat that plays second fiddle to the instrumentation, and a sound that synthesizes all of the best elements of pop into a 175 BPM offering. 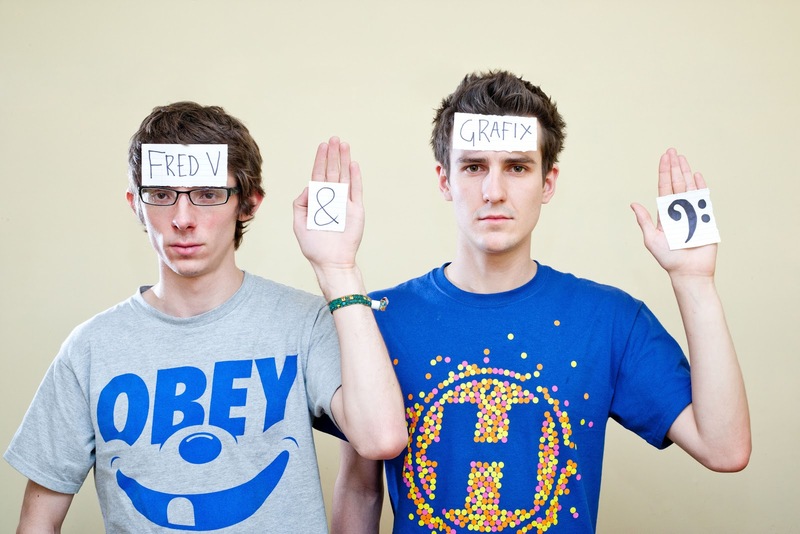 Fred V & Grafix fall definitively into the latter category, and they're one of the foremost reasons why that style of drum & bass deserves recognition. The British duo (Fred Vahrman and Josh Jackson) have ascended to the top of the DnB world with almost unbelievable speed, becoming two of the youngest signings to Hospital Records when they joined the label this past winter, only two years after their first official release (a single on KG's Talkin Beatz label). They've backed up their rise to the top with some solid songs, too, as they've been producing fantastic tune after fantastic tune for the two years they've been active. Whether it was before they were officially producing together (see Fred V's "Catch You"), when they were doing both collaborations and solo tracks (see "One Of These Days"), or now that they've officially become a duo (check out "Just A Thought (ft. Reija Lee)"), all of their songs are very well-produced and ready to make a club go crazy at any time. Up next release-wise for the duo is a track on Hospital compilation Sick Music 3, out late November. As of now, though, all of their songs so far are worth a listen, and I have high hopes for these two in the future.